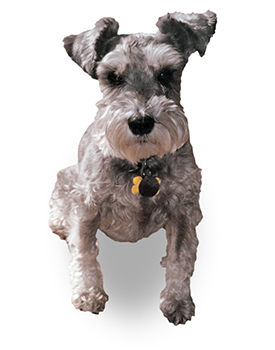 April 26, 1986 – March 13, 1997Maddie was a beloved Miniature Schnauzer whose unconditional love, loyalty, and spirit inspired a revolution. 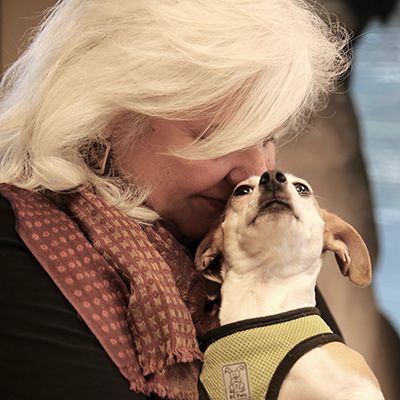 Dave and Cheryl Duffield founded Maddie's Fund® in 1994 to honor their delightfully feisty dog. While playing together on the living room rug, they made her a promise: If they ever had any money, they would help save lives of companion animals so other families could experience the same joy. And the rest, as they say, is history. Dave and Cheryl made good on that promise after successfully launching several technology companies. They have endowed Maddie's Fund to help create a no-kill nation where every dog and cat is guaranteed a healthy home or habitat. In their lifetime, they have given more of their personal wealth to animal welfare than any other individuals. All thanks to Maddie.